Are you practicing the “pay yourself first” approach to saving? We have all heard over and over that the key to retirement is saving early and taking advantage of compounding interest. This is nothing new. But again, knowing what to do is quite different than actually doing it. For the Financial Slacker, this is even more of an issue. How does a “pay yourself first” savings process work? For example, if you work for a company that offers a 401(k), you need to take advantage. If they offer a match, it’s even more important to take advantage. Look at the math. Let’s say you are married and earn $100,000 per year putting you in the 25% tax bracket, with an effective tax rate of 17%, or $16,500. Assuming no other deductions, your take-home is about $83,500. When you decide to invest 5% of your gross pay into the company 401(k), you effectively lower your taxable income to $95,000, which means you’ll be paying about $15,000 in taxes (assuming nothing else changes), with a take-home of $80,000. You invested $5,000, but it only cost you $3,500 because of the tax benefit. Now, let’s assume your employer has a 100% match up to $5,000. So into your 401(k) account goes the match (tax-free). Another way to look at it is you invested $5,000 and immediately earned $6,500 risk-free (the $5,000 company match plus the $1,500 tax benefit). Where else can you immediately more than double your money without risk? Even if you wind up spending the $1,250 in tax savings (you did give up $5,000 in spending to get it) and just invest the $10,000, in 30 years, growing at 6%, it will be worth $57,435! So invest it in your 401(k) and leave it alone. But this is nothing new and if you’ve spent any time at all on personal finance websites, you know all this. However, once again, the key isn’t just knowing, it’s also doing. There is a limit on how much you can invest into your 401(k). And, I often hear the question, how much should I save? Or, how much should I invest? Some will recommend creating a budget and forcing yourself to live within it. Honestly, I am not actually a big fan of using a budget on a month-to-month basis to manage individual expenses. I do create a monthly budget and I am a big believer in using Personal Capital to track expenses. But I tend to use the budget to track monthly expenses in total rather than trying to manage each line item. Things change throughout the month. If I overspend in one area, I can cut back in another to keep the total spend in line. Income Taxes. This is not a category that you have much control over as it mostly depends on your income; however, you can and should reduce your taxable income by contributing to a 401(k), IRA, or other pre-tax account (as discussed above). Your effective tax rate as a percentage of gross income will most likely range from 12% to 30% (unless you are on either extreme of making less or more). Retire at 65 Accounts. This category includes all the pretax accounts that you have access to such as the previously mentioned 401(k), IRAs (Traditional, Rollover, Roth), and SEPs. If you’re just starting out and have access to a 401(k), you should start contributing as soon as possible. Do not hold off as you’re likely to start spending more money now that you’re making more. Start with 5% of your gross salary but make sure you’re contributing enough to receive the maximum company match. Continue increasing your contribution until you are contributing the maximum amount allowed each year. Emergency Fund. This is the cash on hand that you have to cover anything that might come up from an emergency expense to the loss of a job. Ideally, you should have around 6 months of spending available for emergencies. Contribute 10% of your gross salary to the emergency account until it’s fully funded. FIRE (Freedom) Fund. This is your after-tax investment account which will allow you to retire before you reach the age of 65 and start accessing your pretax accounts. Before contributing to your FIRE fund, max out your pretax accounts and make sure you have enough saved in your emergency fund. At a minimum, you should contribute 10% of your gross income into your FIRE fund. Living Expenses. Notice that I listed living expenses last. This is intentional. If you spend and try to save what’s left, you will find there is nothing left. Most of us have willpower limitations and if we have the money, we tend to spend it. Make your investment contributions before you start spending. In other words, pay yourself first. In general, I like to target keeping your living expenses at less than 50% of your gross income. Be especially careful about how much fixed expense you incur. I try to keep my fixed costs as low as possible. In the long run, almost all costs are discretionary, but some require significantly more effort to change (mortgage, taxes, insurance, other loans). Obviously, the above allocation model needs to be tailored to your personal financial situation. How much do you earn? What is the cost of living where you live? Do you have any extraordinary expenses? But no matter what your personal financial situation, I am a big believer in using buckets to separate your savings and spending. 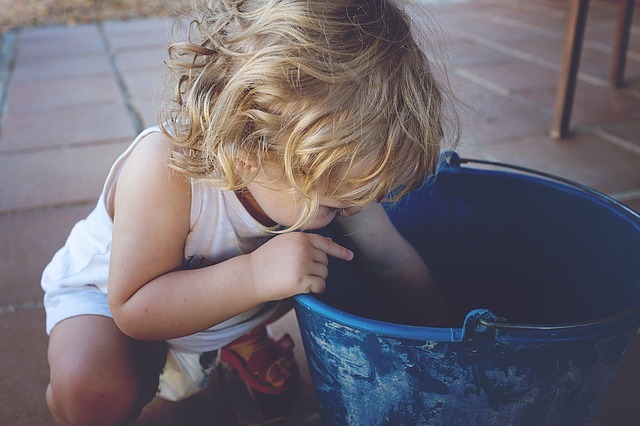 If you create a few money buckets (emergency fund, retire at 65 fund, FIRE fund, living expenses), you know why you are putting money away and you can set up goals by age for each bucket. And with a pay yourself first approach of saving at least 20% or more of gross income and keeping your living expenses at around 50% of gross income, whether you are making $50,000 per year, $500,000 per year, or somewhere in between, you should be in a good position to return early. Do you pay yourself first by consistently withdrawing your savings before spending on living expenses? What other approaches do you use to manage your expenses? I love the idea of raising the bar each month until it hurts. It’s so easy to spend money when you have it. Better to get it out of sight. And depending on how lean you want to run, you don’t necessarily have to put all the money into long-term investments. We tend to keep a relatively high cash reserve – probably 2x what I talked about. We can still access the money if we absolutely need to, but it’s not easy to get. I like this bucket idea as it makes allocation a lot easier. You break down the buckets really well and make a big topic seem a lot simpler. Something I will keep in mind as I start to work! I essentially work backwards when determining how to allocate to my buckets. Once I have an emergency reserve established, I start planning for my age 65 retirement. How much do I plan on spending during retirement? And how much do I need to contribute to get there? You can use 25x or 30x your retirement spending as a target. But the good news if you start early, you have 40 years of compounding to get you there. Once that plan is established, I start working on the FIRE fund. How much will I need to bridge from early retirement to age 65 retirement. The good thing about the FIRE fund is that it doesn’t need to last forever – just long enough to get to your tax-deferred accounts. The concept can be applied at work as well. If you need to fund a project, look for areas to cut enough expense to pay for the project – budget neutral. I pay myself first in multiple ways. I contribute a decent percentage of my income to my 401k and have automatic contributions to my Roth IRA, cash savings, and make a monthly deposit into my taxable account. You need a lot of buckets to hit FI someday! I do the same thing. And I have smaller buckets within each of the major categories. For example, within my spending bucket, I have separate accounts for my kids’ private school, for home renovations, for my next car, and for living expenses. Good example with the 401k and tax saving. So many people do not understand how powerful tax deferring can be. Whenever anyone asks me how much to put in their 401k, I always tell them “the max” simply on the principle that you will save $4,500 in taxes by doing so (assuming 25% tax bracket). The bucket principle and pay your self first is the corner stone of our current savings level and the progress of the last few years. We have fixed the minimal savings we want to do. We have a prty good ide of the budget we want to spend on living and fun. This results in a monthly automated distribution of our income to savings:investing and living accounts. The buckets now took over from the budget… We have no idea what we pend on grocery, clothes, restaurants, kids, gifts… Easy to track this way!